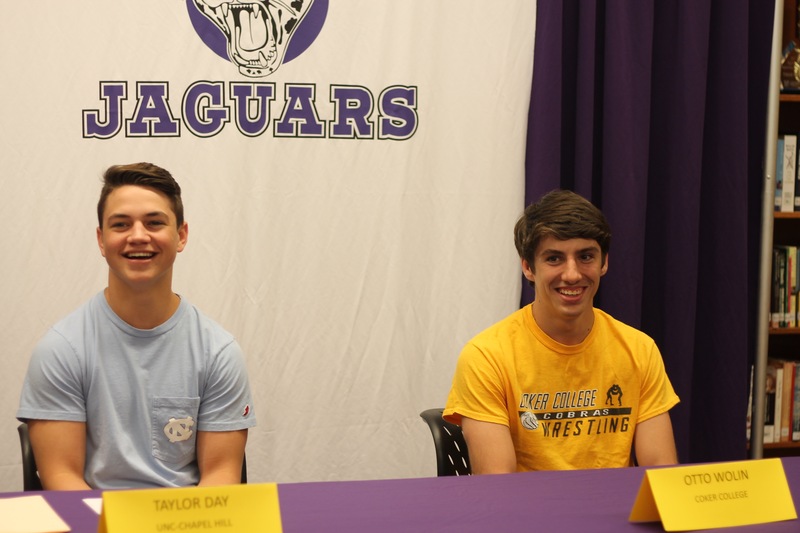 Around noon on May 24, two Carrboro High School students committed to colleges on wrestling scholarships. The two seniors, Taylor Day and Otto Wolin, signed in the presence of parents, teammates and Dewitt Driscoll, CHS wrestling coach. 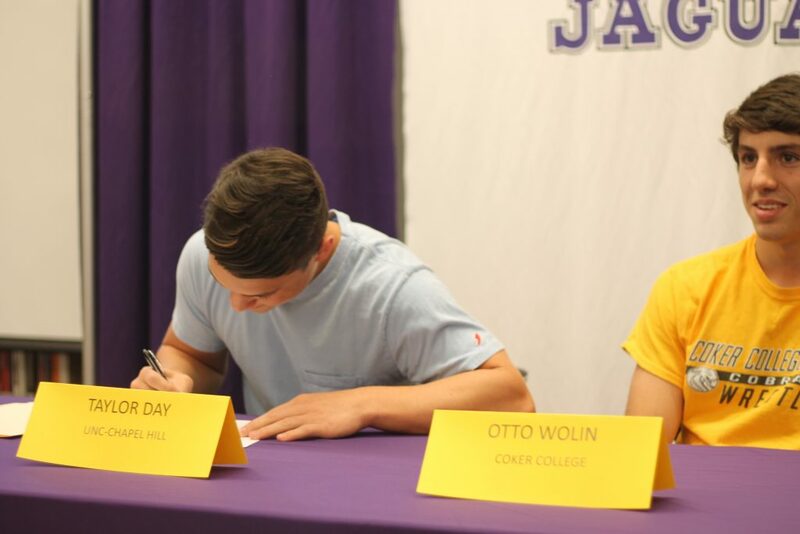 Day and Wolin look forward to their future roles on teams at UNC Chapel Hill and Coker College, a liberal arts college in South Carolina, respectively. Both athletes credit their coaches and teammates as key factors in their successful careers. “[My coaches and teammates] helped me with my character, and they’ve made me a better person,” said Wolin.